Old Adage for the Size and Timing of Meals Seems to Be Correct for Weight Loss | Health Coaching, Personal Training and Nutrition Advice from a Health Coach! It appears the old adage to “breakfast like a king, lunch like a prince and supper like a pauper” may be good advice after all according to a new study by the International Journal of Obesity. Of course many personal trainers, health coaches and nutritionists already knew and taught this but now we have scientific proof that it works. As a health coach I would take it a step further and advise a client to surround the highest calorie meals around their workout. Think of it as calories on demand nutrition. I’m going to discuss this in a future article that will show you exactly how to spread out your meals, by calories and by macronutrients, i.e. protein, carbohydrate and fat. Meanwhile take a look at the study below to see how timing is important to the success of weight loss. Garaulet, M. et al. (2013). 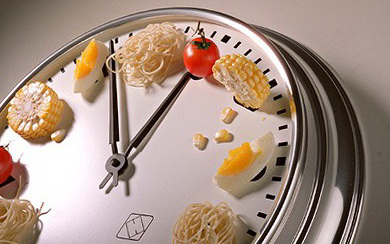 Timing of food intake predicts weight loss effectiveness. International Journal of Obesity. By Peter Marino, the owner and health coach of PoshFitness.com.